Deborah Ross joined Ismael Guerrero, Executive Director, Denver Housing Authority, along with a representative from US Congresswoman Diana DeGette, Denver Councilwoman Judy Montero, District 9, Charlie Werhan, President and CEO Enterprise Community Investment, Jamie Duffy, Executive Director, Youth on Record, Emmanuel Martinez, Artist, Dedication of Flor de La Alma. Mariposa is Denver’s rejuvenated South Lincoln neighborhood, being redeveloped in phases, a neighborhood built around transit and walkable amenities. Full redevelopment of the 17.5-acre site by 2018, replaces 182 outmoded apartments. The new community will include 457 homes, including over 300 public housing residences, workforce homes and other affordable housing. 147 units will be made available at market rates, creating a mixed-income neighborhood. The heart of the redeveloped neighborhood will be a multiple-building project called Mariposa. In addition to affordable homes the property will host a 6,000-square-foot youth media studio..” The development will include mixed-income rental apartments, townhomes and 15,000 square feet of commercial and amenity space. Mariposa is everything we love about living and working in Denver! This community is creative, sustainable and connected. With easy access to light rail, fantastic dining and shopping options, and being Denver’s Santa Fe Arts District, this community will bring even more energy and excitement to this wonderful neighborhood. We very much look forward to Mariposa becoming one of Denver’s most sought after living choices . 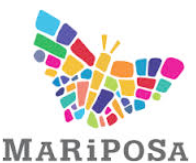 We at Ross Management are privileged to have been awarded the management for Mariposa!